Since I created this blog, I have been wracking my brain with all the beauty products I use and which one I should write about first. So after much consideration, (and a little help from my roommate, Sara, 'hey, girl!') I decided to just narrow it down to five. Well... At least for now. These may change in a month from now, or a week, or hey let's face it, I'm a girl, and I can change my mind by the time I finish this post. My sister was actually the one that got me turned on to Philosophy products and although I have only been using this cleanser for a couple of months, my my, I am IMPRESSED! Ever wash your face and even through you scrubbed and scrubbed your little eye balls, you still look like a hot mess that had a rough night? 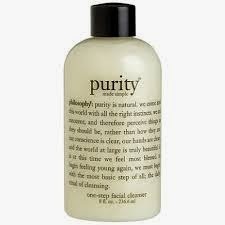 Well this products says it "deep cleans pores and eliminates makeup build-up," and it truly does. It comes in different sizes. It comes in 8 fl. oz., 16 fl. oz., and even this adorable 3 fl. oz. which is great for traveling, or I would even recommend buying that first and testing it out before you commit to a larger bottle. I started using this product because I began swimming at the gym and noticed my hair was getting super dry and brittle from the chlorine. (I know I know, "use a swim cap!") But I bought this in attempt to try to repair my hair from all the damage and it has definitely helped! It smells so good, like you just left Tina at the salon and dropped 150 bucks on a shampoo and deep condition. Super simple to use. You do 3 or 4 sprays in your hands and rub it through your damp hair after you get out of the shower. It also works as a detangleR. <- not a word. 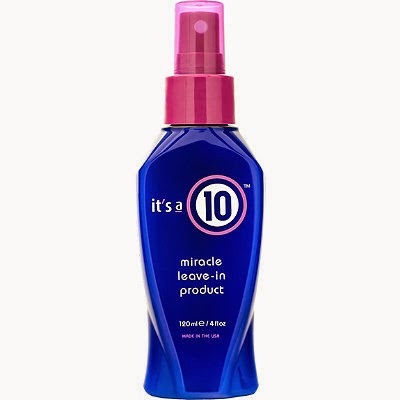 It promises to do 10 THINGS INSTANTLY.. ( I won't list all 10) but it most importantly protects your hair from thermal heat. And in my personal opinion, I find it acts as a great styling product and if I use it before I curl my hair it seems to help the curls last longer. 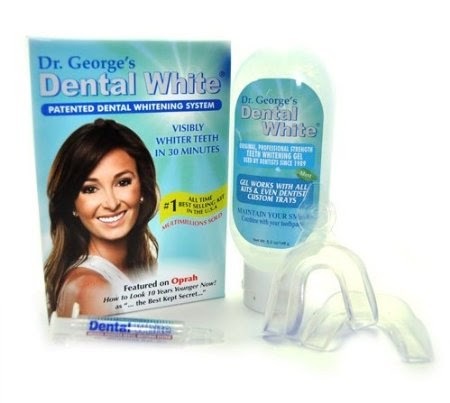 ...because who doesn't want white teeth. Makes your teeth SO white.. like almost, unnatural white, which I'm kinda obsessed with. It doesn't make your teeth sensitive ( or at least not mine.) I have tried using whitening strips many times and they hurt my teeth so bad. This is the first thing I have ever tried that didn't make my teeth super sensitive. BE AWARE: This isn't sold in stores and I found mine on Amazon. It isn't very expensive, but it is shipped from the UK, so be patient, as it may take a couple weeks to arrive. But I assure you, it's worth the wait! Anyone who knows me well, knows I am OBSESSED with this product. I'm sure all my closest girlfriends are reading this thinking "yep, I knew she would mention this one." I love being tan. Not gross, Jersey-shore-kinda-tan, but nice a olive tone, especially in the summer. It claims to be a "firming" lotion. I don't know about all that, but it does make you appear tan, which in essence makes you appear more toned. Duh. You get a great subtle tan without baking in the sun and damaging your beautiful, healthy skin! Ever put on your favorite eye shadow and half way through the day, you think you're still looking fab, until you look in bathroom mirror and your shadow has become this disgusting creasy mess?? That's not cute. 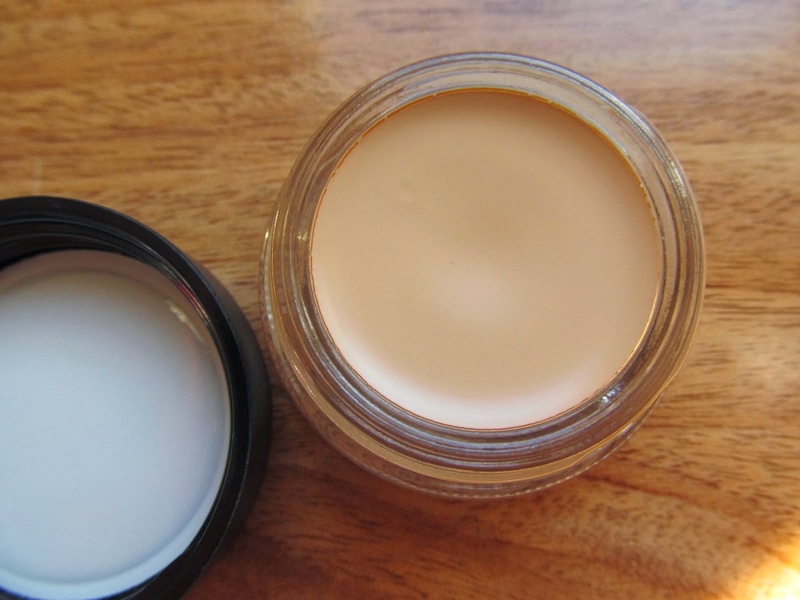 SOLUTION- EYE PRIMER! For those of you who already prime your eyes before applying your shadow--high five! For those who don't--it's ok, I wasn't aware a few years back either. Keeps your shadow in place, all day. Seriously. It also acts a concealer. Especially if you have veiny eye lids. Sometimes I just apply this on my lids and a little mascara and that's it. IT LASTS FOR-EV-VER!! A pod can last up to a whole year. So even though it's kinda pricey, it's worth it. ** They make these in different colors to be used as really pigmented shadows but I use the color "Soft Ochre" as my primer. Hope you get a chance to try at least one of these products!